We all want our kids to grow up strong, smart, happy and healthy. But sometimes, guarding your family's health can seem like you're playing nutritionist, coach, germ-fighter, nurse and psychologist all at once. 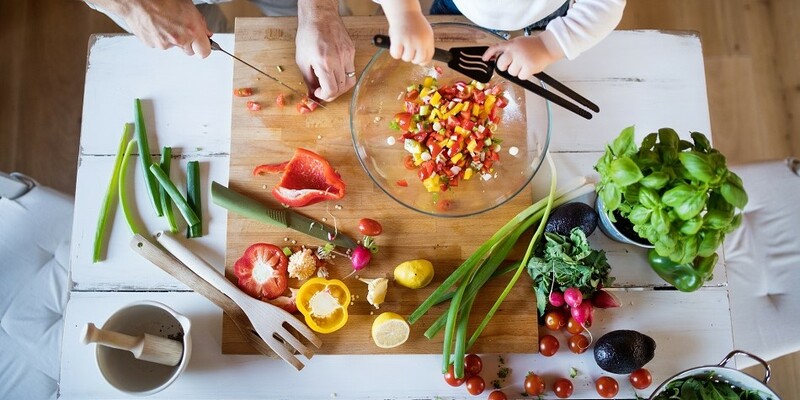 Do you want to cook healthier? With some simple tweaks, you can lighten up regular recipes for brownies, casseroles and other tastytreats. Plan healthy meals for breakfast, lunch and dinner by learning about healthy food substitutions. For instance, you can sprinkle powdered sugar on cakes instead of using frosting. Reduce fat and calories in baked goods by cutting the fat ingredient such as butter or margarine by one-half and substituting a moist ingredient like applesauce, fat-free sour cream or orange juice. Search the web for more tips about healthy foods and in no time you will be cooking healthy recipes for you and your family. Exercise benefits include low blood pressure, strong muscles, weight control and stress reduction. Walking, sports and aerobic classes are just a few of the exercises that contribute to a healthy lifestyle. One of the most important decisions you will ever make -- and you'll probably make it more than once -- is choosing the right doctor. Ask your friends, your coworkers and your neighbors who they like, and look for these names in the packet of options you get from your insurance provider. Make sure your doctor of choice has a healthy online reputation on common websites such as Vitals or Healthgrades. Once you've picked your provider, get to know the entire office. Make an appointment to meet the office staff, nurses and provider. Ask questions about the style of care, availability and other important concerns you have. These three tips can keep your family happy and healthy! What is Comprehensive Spine Care?